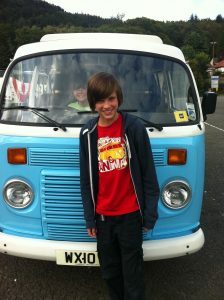 Campervan Hire in Scotland - a VW Camper Van Holiday to Remember! It’s about this time of year we all start popping up our heads from hibernation, noticing the days are getting longer and needing to get outdoors again. Crisp blue skies, birds singing and the first signs of green shoots sprouting in the brown earth. We poke out our noses into the hint of spring air and think about holidays! I for one am itching to get out there, I love the UK. I have seen a lot of it, but there’s so much more I want to visit. 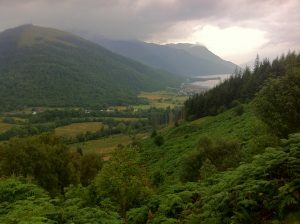 Last year we explored Scotland, Loch Lomond, Oban and Glen Coe areas – Stunning! We hired Daisy from Classic Camper Hire and spent the week enjoying a slower pace of life. We picked up our 2010 Danbury conversion from Selkirk in the Scottish Borders and after a quick run through of Daisy’s kit we were on our way. VW Camper Vans get such attention on the roads its unbelievable the amount of waves and beeps we received on our travels right from the word go. Making a bee line for the hills we were up passed Glasgow in no time and ready for our first night in Daisy. 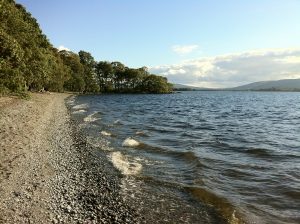 We found a prime spot on the shores of Loch Lomond at the Forestry Commissions campsite Cashel. The following day we kayaked on Loch Lomond and even explored one of the islands, amazing fun. Heading up the West coast we took advantage of some of the great campsites and used the campers electric hook up to charge those all important ipods! Oban is a lively fishing town and we stopped here and discovered the Oban Games would be on in the next couple of days. We had to be there for that! We decided to continue North and come back later in the week to see the Games. Glen Coe proved to be all I expected and more, such beautiful landscapes around every bend in the road. Daisy took all of this in her stride and when we’d had enough of driving we would pull over and make an all important cuppa to enjoy the view. The kids loved the wildlife in this area, we spotted seals, birds of prey, deer and the not so wild highland cattle. I could have stayed there so much longer but we headed back south to be in time for the Argyll Highland Games. Such a fabulous occasion, steeped in history and local pride. We followed the piper’s procession to the Games park and enjoyed a day of dance, music, sport and tradition – wonderful! It was so nice to be away from normal city life and enjoy the outdoors. 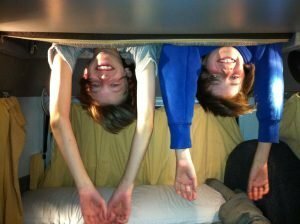 Just being in the van in the evening playing cards with the kids was so enjoyable. It seems such a cliché to say ‘spending quality time together’ but it’s hard to describe it as anything else. We laughed so much that holiday, and had the odd tear when my youngest did not see the fun in climbing a hill in a down pour! I heartily recommend you give campervan holidays a go, and you never know, you may get the camper bug and end up owning one yourself!